Give the Gift of Ohio Proud! Ready or not, the holiday season has arrived! 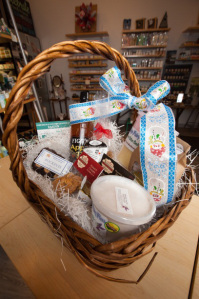 As you begin your shopping, we hope you will consider buying local this year by purchasing an Ohio Proud gift basket. 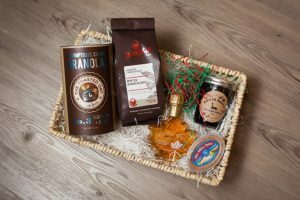 What better way to celebrate than to give a gift that supports local businesses in your community, while getting unique and thoughtful gifts for everyone on your list? Every product in these baskets is at least 50% raised, grown or produced in Ohio. 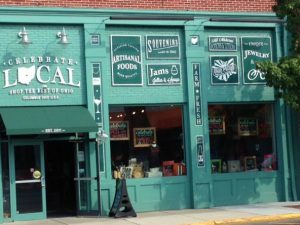 Ohio Proud products can be found in your local grocery store, or specialty retailers such as Celebrate Local (Easton), Simply Vague (Tuttle), The North Market and the Ohio Statehouse Gift Shop (Downtown Columbus). 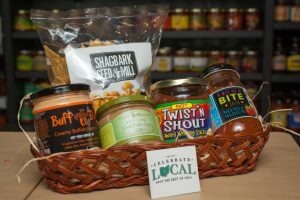 With a big help from Celebrate Local, we bring to you some amazing themed gift baskets. CL has an extensive variety of Ohio Proud products, assuring a gift for everyone on your holiday list. We have highlighted many of them below, and more will be showcased through Ohio Proud’s Facebook, Instagram and Pinterest pages. Do you have someone on your list with a serious sweet tooth? A sweet treat gift basket would be the perfect gift to satisfy their sugar craving! Have an early riser on your list? A breakfast-themed basket might be just the ticket. They can entertain themselves with it while you sleep in! Who doesn’t love chips and dips? Give your friends and family the gift of the perfect snack pack! This basket includes something for everyone: sweet, salty, tangy and spicy. How about a gift for your furry friend? 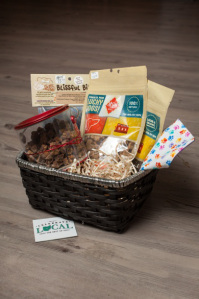 We have you covered with this adorable basket that will make the pups in your life drool, literally. 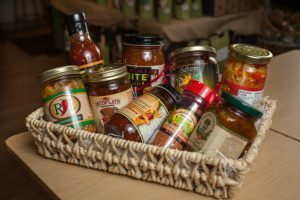 Other themed baskets include wine, hot and spicy and gluten free goodies. ***Alcohol cannot be shipped, but can be purchased in store. Those looking for a hot, hot, hot gift! Don’t forget about your gluten-free friends! We want to give a big thank you to the crew at Celebrate Local for putting together these baskets, particularly Heidi and Ruthie. 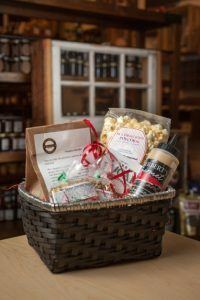 We hear Ruthie is the gift basket guru at Celebrate Local, and boy did she do a great job! 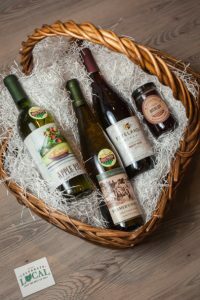 To order these gift baskets and more, visit the Celebrate Local website and send them an email with what type of basket you are looking for, or visit them at Easton! 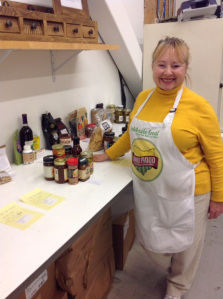 For more information about the products seen here, all Ohio Proud products, more gift ideas and recipes, visit http://www.OhioProud.org.